Below are some recent and older makes with details of the dies and stamps used to create them, in time I will add more photos and details. More often than not I leave the sentiment off the front of my cards as people often .tell me they like to either frame them or leave them up for a long time. 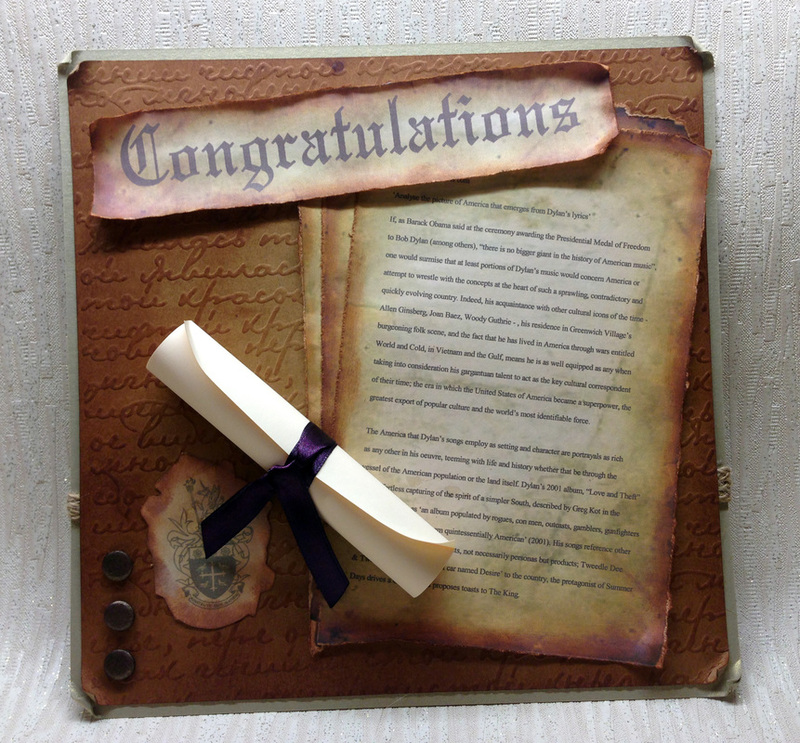 Some of the photos have a Lounge Crafter watermark, this is me too, a name I used when I crafted much more casually. 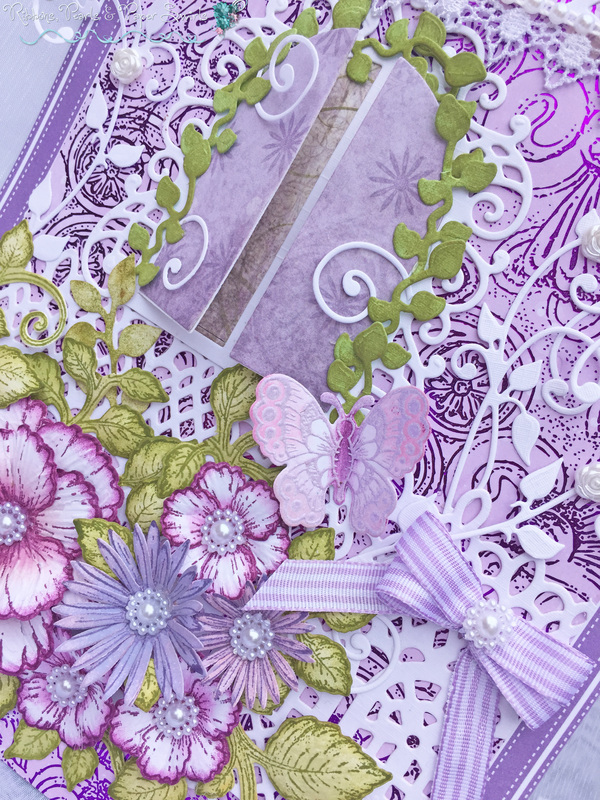 This was a fun project, I came up with the idea after making several cards using my Sue Wilson weaving dies, I love all the different effects you can get with the dies but I wanted to do something a little different. 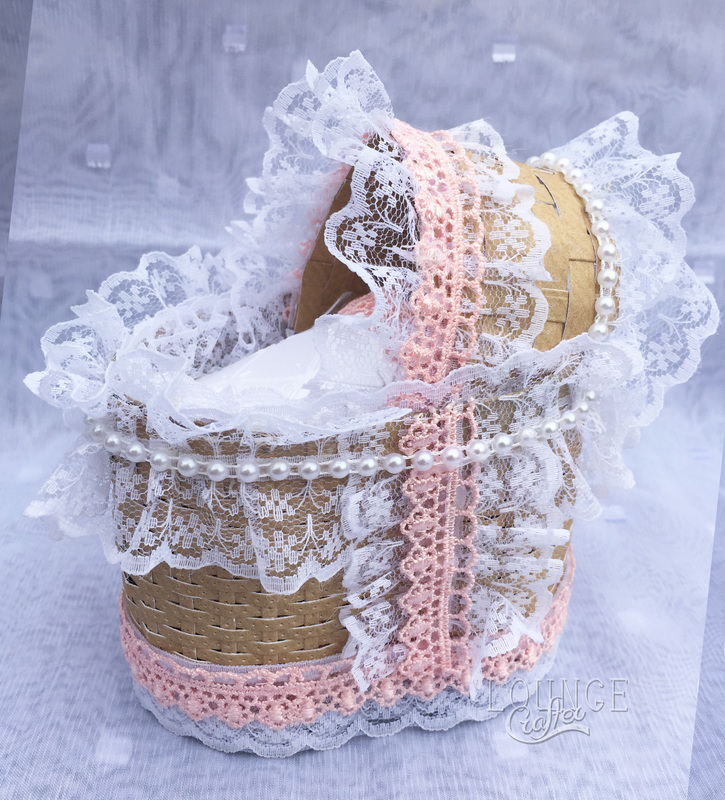 I did a flower basket first (in my gallery) then after that I decided to try a baby's moses basket. 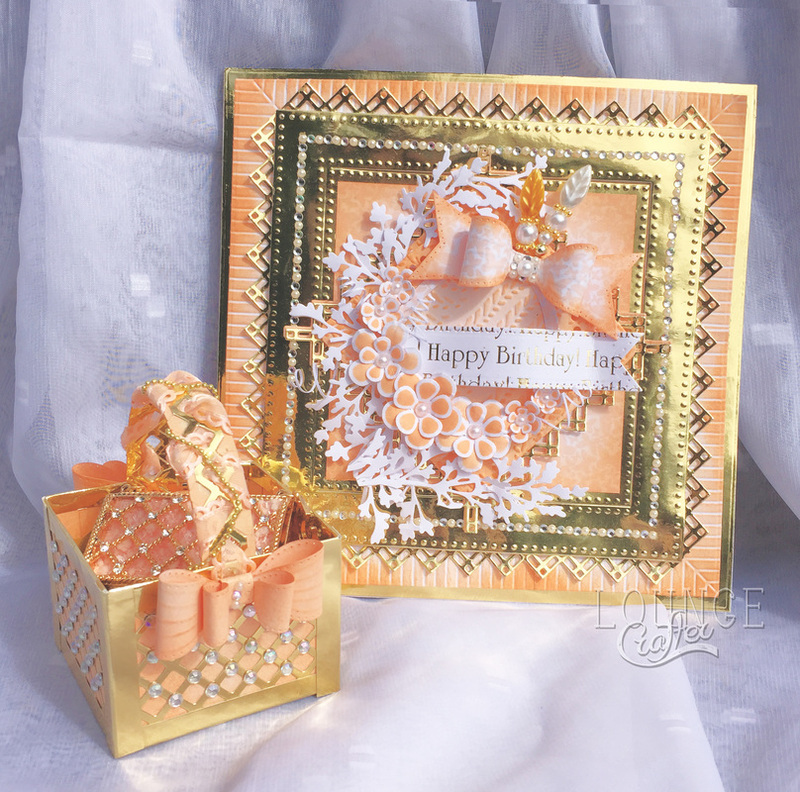 I used craft card stock to create a look of wicker. 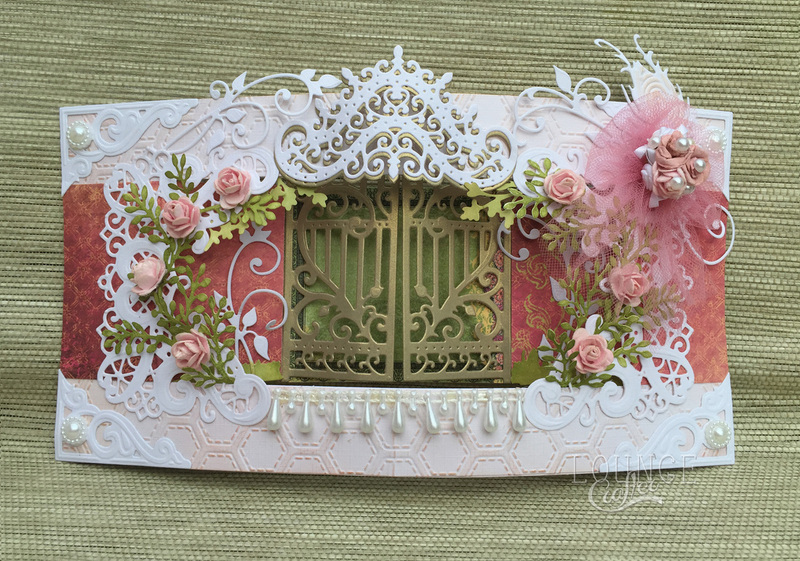 Once cut I weaved the strips of card holding the ends in place with pins onto a foam pad (I actually use a garden kneeler). When I had enough for both ends of the moses basket I glued a piece of card over the weaved card ends to keep them secure. I then teased both weaves around an empty kitchen roll to curve it. 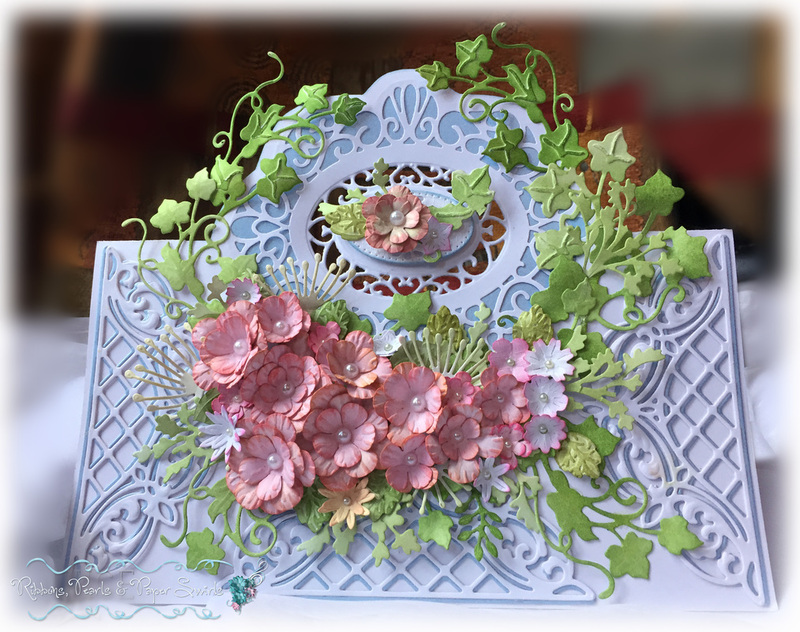 When I was happy with the shape I glued both ends together, it looked a little messy but this was covered with lace and frills. To make the crib more sturdy I put some stiffer card all the way round the inside and created a base for the quilt and pillow to sit on. The hood was done in exactly the same way and attached to the inside edge. 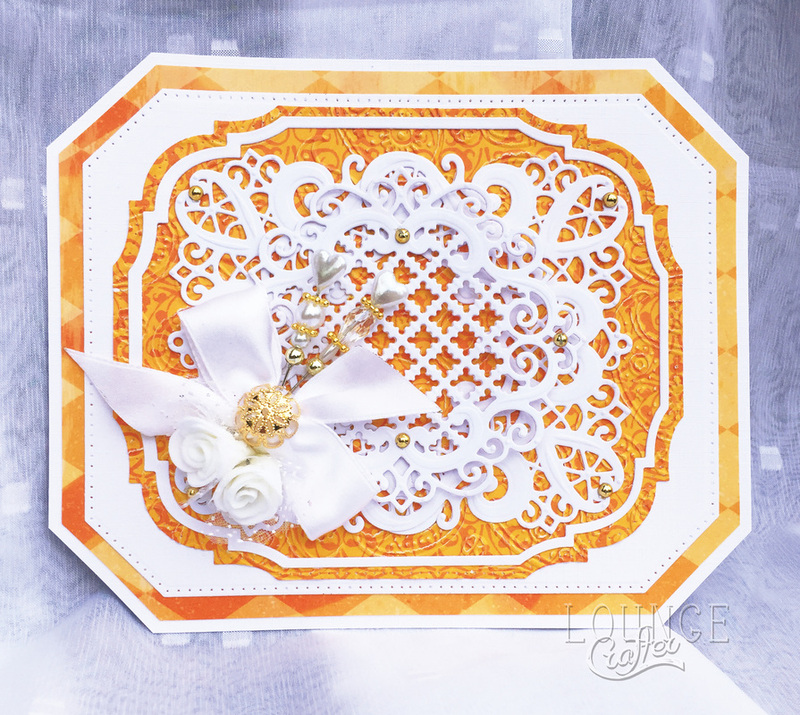 I then decorated with lace and pearls and made a quilt and pillow by embossing white pearlised card and decorating with peach lace. 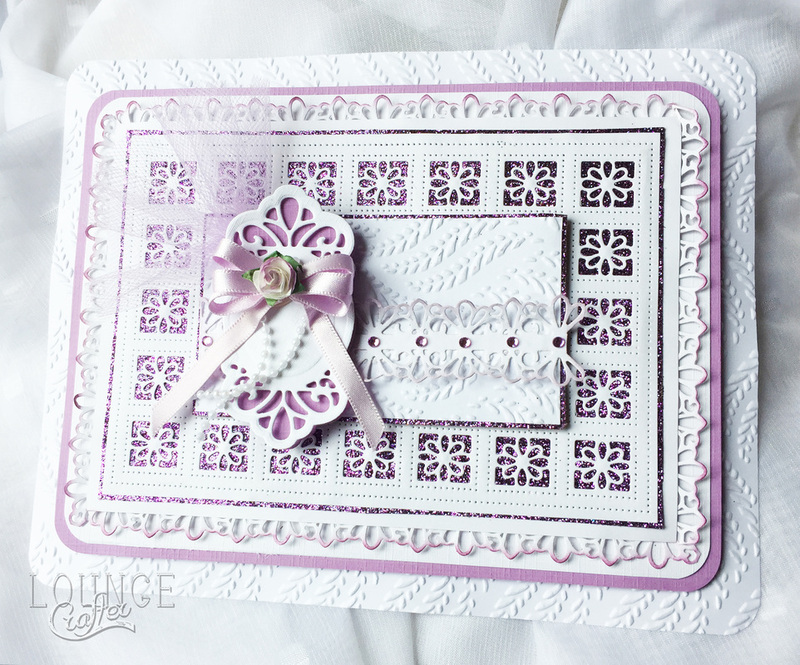 I used just a couple of dies in this one, unusual for me but as you can see I didn't hold back on the lace and pearls. I bought a cute little ‘blingy’ keyring (in the basket) for a friend and thought it would be nice to make a little gift basket to give it to her in. I got carried away and made it to match the keyring and of course then had to make a card and box to match. A couple of years ago I did my friend's wedding stationery which was a vintage sunflowers and afternoon tea theme. 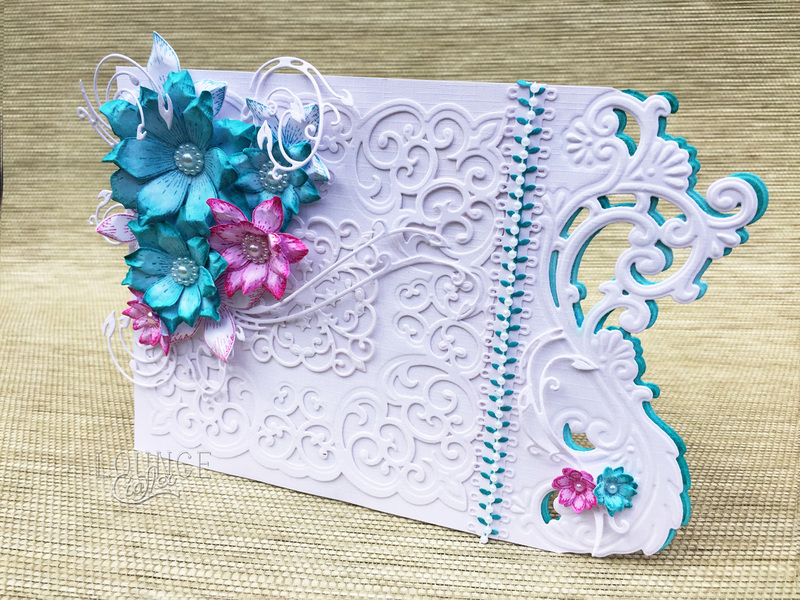 I made this card for their first wedding anniversary. 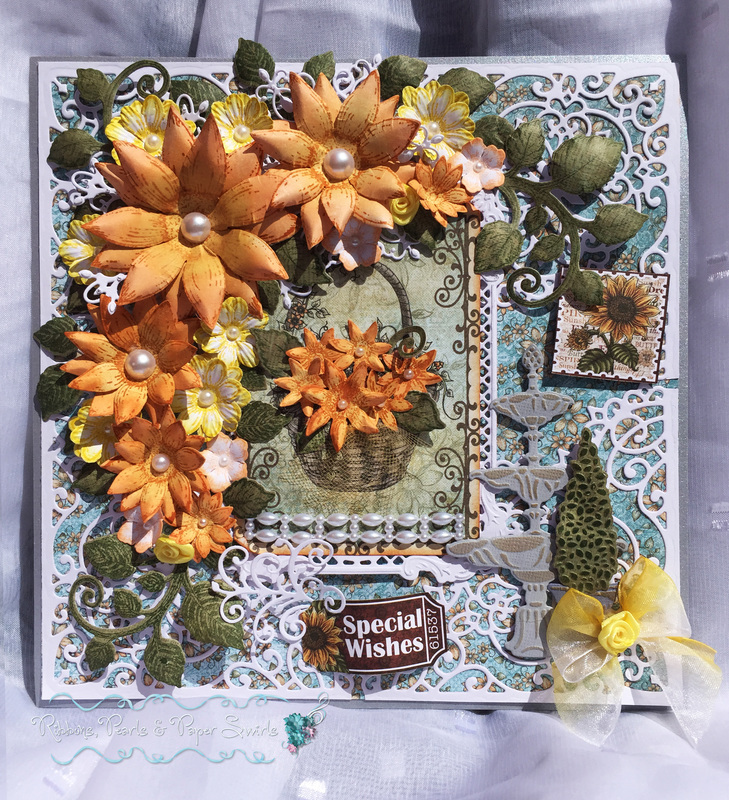 Heartfelt Creations Sun Kissed and Classic Sunflower paper pads.